One of the most important provisions in construction contracts is the indemnification provision. Appreciating contractual indemnification obligations are critical and certainly should not be overlooked. Ever! Florida Statute s. 725.06 (written about here and here) contains a limitation on contractual indemnification provisions for personal injury or property damage in construction contracts. There should always be an indemnification provision in a construction contract that addresses property damage or personal injury. Always! Section 725.06 pertains to agreements in connection with “any construction, alteration, repair, or demolition of a building, structure, appurtenance, or appliance, including moving and excavating associated therewith…” If the contract requires the indemnitor (party giving the indemnification) to indemnify the indemnitee (party receiving the indemnification) for the indemnitee’s own negligence, the indemnification provision is unenforceable unless it contains a “monetary limitation on the extent of the indemnification that bears a reasonable commercial relationship to the contract and is part of the project specifications or bid documents, if any.” It is important to read the statute when preparing and dealing with a contractual indemnification provision. A common defense from an indemnitor in a case dealing with contractual indemnification on a construction project is that the provision is unenforceable because it does not comport with s. 725.06. In a recent case, Blok Builders, LLC v. Katryniok, 43 Fla. L. Weekly D253b (Fla. 4th DCA 2018), the indemnitor argued the indemnification provision was not enforceable. Here, a utility company hired a contractor to improve its telecommunications services. 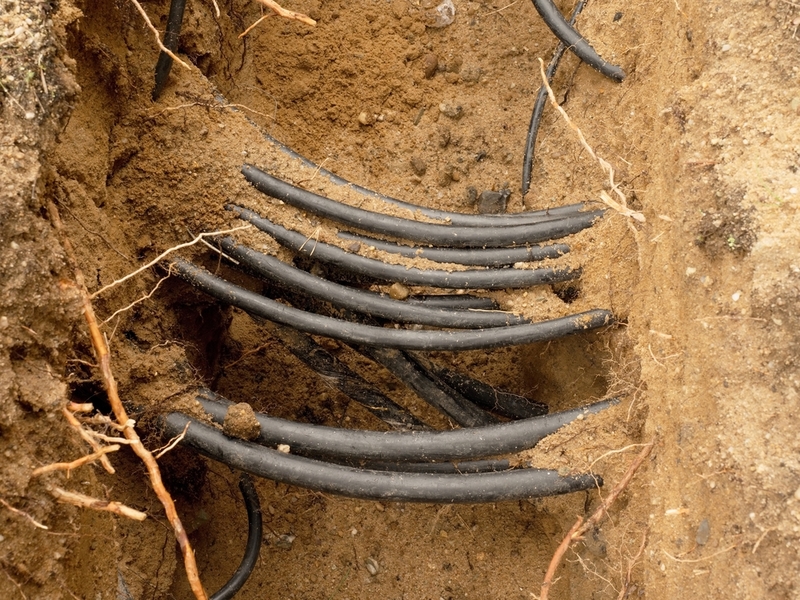 Part of the work required the contractor to provide access to preexisting underground telecommunication lines located in neighborhood easements. The contractor hired a subcontractor to perform the required excavation to access the preexisting underground lines. This work resulted in a personal injury action where the injured person sued the contractor, subcontractor, and utility company. The contractor’s subcontract with the subcontractor required the subcontractor to indemnify the contractor and its directors, officers, employees, and agents, from loss caused wholly or partially by the subcontractor. Thus, the indemnification provision required the subcontractor to indemnify the contractor for losses that were caused partially by the contractor’s own negligence (otherwise, the indemnification provision would be limited to losses solely attributable to the subcontractor). The contractor and utility owner both claimed that the subcontractor was responsible for contractually indemnifying them for all losses including attorney’s fees. The subcontractor argued that the indemnification provision should be deemed unenforceable because it did not contain a monetary limitation on the extent of the indemnification. The appellate court affirmed the trial court that the indemnification provision as to the contractor was enforceable because the statute (s. 725.06) did not apply. What? That is right, the statute did not apply because the statute does not apply to utility contracts. What? That is right, the appellate court held that the statute applies to “any construction, alteration, repair, or demolition of a building, structure, appurtenance, or appliance” so if the excavation is not connected to a building, structure, appurtenance, or appliance, it does not apply. Since the project dealt with underground utility lines, s. 725.06 did not apply so the contract did not need to contain a monetary limitation on the indemnification provision. Of course, in my opinion, it is hard to truly reconcile the distinction between a vertical project of a building or structure and a horizontal project, such as the project at-issue. In other words, why would a limitation on indemnification provisions apply to one type of project but not the other? I do not know the answer to this other than to say the court reading s. 725.06 noticed that it mentions nothing about applying to horizontal type projects that do not involve a building or structure. The appellate court however reversed the trial court as to the application of the indemnification provision extending to the owner. The indemnification provision mentioned nothing about the utility owner. That is true. The contractor argued that because the prime contract was incorporated into the subcontract, the subcontractor’s duty to indemnify the utility owner arose from the prime contract. But, the prime contract required the contractor to indemnify the utility owner; it mentioned nothing about subcontractors being required to indemnify the owner. Interestingly, if this contract were governed by s. 725.06, this perhaps would be an issue because s. 725.06 provides that contractors may not require the indemnitor to indemnify the indemnitee for damage to persons or property caused in whole or in part by any person other than the (a) indemnitor, (b) the indemnitor’s contractors, subcontractors, sub-subcontractors, materialmen, agents, or their employees, or (c) the indemnitee’s officers, directors, agents, or employees. Thus, the indemnification provision would not permissibly authorize the subcontractor to indemnify the owner for the owner’s own negligence. Ultimately, what this means is that the owner can pursue contractual indemnity from the contractor based on the indemnification provision in the prime contract. The contractor would owe this indemnification (since any negligence attributable to the subcontractor would be attributable to the contractor that hired the subcontractor). 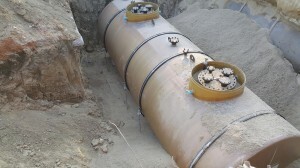 This would get resolved (or play out at trial) and the contractor, based on this loss, would sue the subcontractor for indemnification for the loss connected with the subcontractor’s negligence. Please read this article for an update / follow-up on this issue and this case.